It’s another rainy week, but I had the pleasure of meeting a client for coffee yesterday morning in downtown Washougal. The Washougal Coffee Company is generally quiet enough to allow for good conversation and the London Fogs are delicious. In my opinion, this beverage is made for cold damp days in the Pacific Northwest. 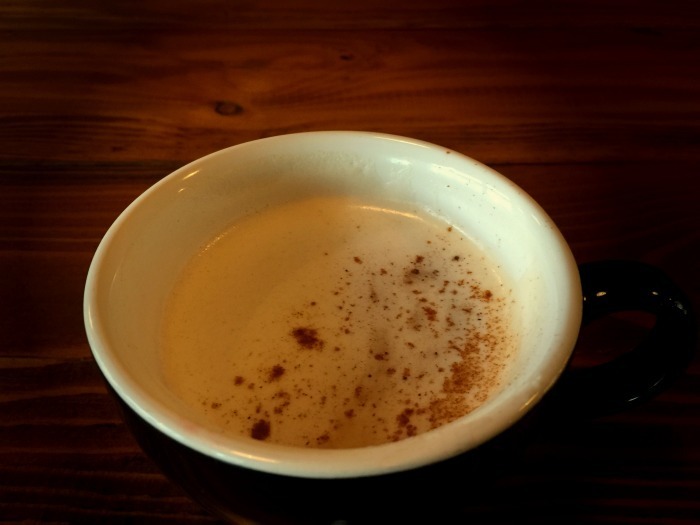 A London Fog is also known as Vanilla Tea Misto or an Earl Grey Tea Latte. In Scotland, it’s called a Vancouver Fog, since it was originally created in Vancouver, British Columbia. Basically, it’s steeped Earl Grey tea with steamed milk, a shot of vanilla, and a sweetener of choice. I also sprinkle the top layer of foam with nutmeg and cinnamon. If you haven’t had the pleasure of enjoying this creamy beverage, I encourage you to give it a try. Some people use a hint lavender in the recipe too, although, most often, I prefer to drink the classic. Just thinking about it makes me want to go back to the Washougal Coffee Company and order another.